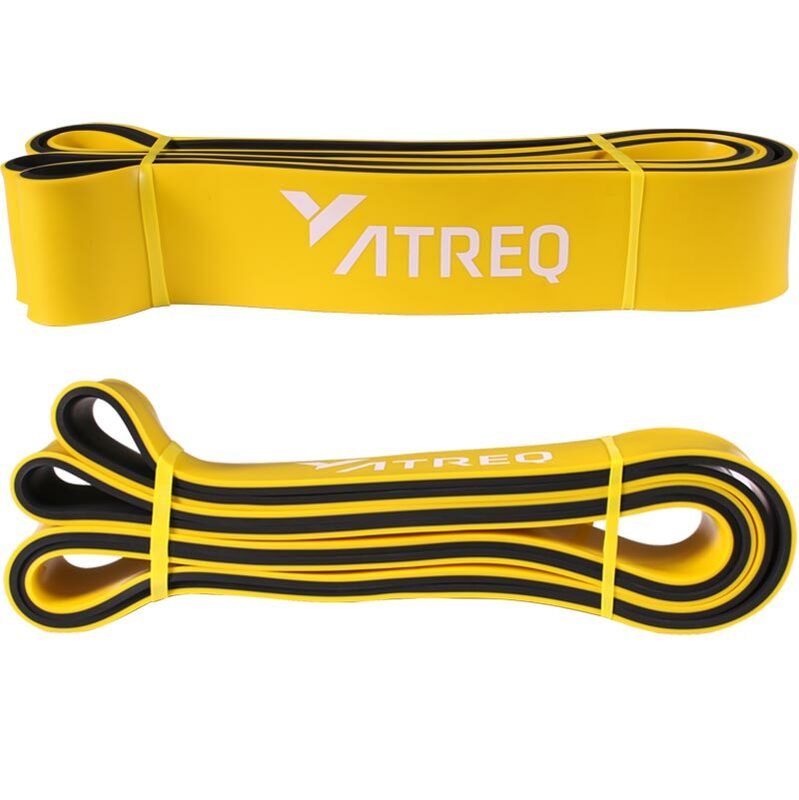 ATREQ 44mm Power Band 27-68kg is a functional tool when developing technique, looping bands around the body for specific exercises, the bands will assist in the correct moment technique while adding a resistance. Suitable for fitness, yoga, cardio, strength training, crossfit, calisthenics, powerlifting, bodybuilding, pilates, and physical therapy. Colour - Yellow/Black 1040mm x 44mm x 5mm - 27-68kg resistance. 104cm long (208cm loop) x 5mm thick.